The early struggles of the Kansas City Philharmonic creates the backdrop of a new musical love story, “Overture” that continues at The Arts Asylum, with featuring a cast and creative team of local talent. Black and white projections of 1950s era photographs help transport the audience to downtown Kansas City in the days when street cars transported masses to what was the downtown shopping and entertainment area. The musical mentions Rothchilds, a mostly unknown department store that closed probably in the mid-1960s along with many other area retailers as demographics shifted to suburbs. 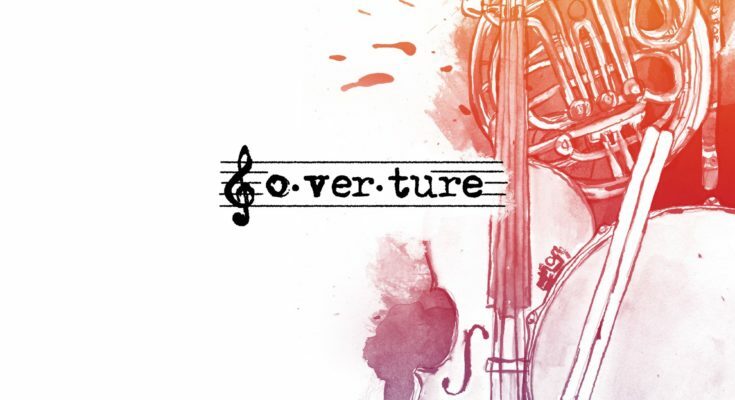 “Overture” brings the age-old struggle to support the Arts to the font and center of the story. In 1954, lack of funds meant that the Philharmonic may not produce a season without the help of generous donors from the upper-crust of KC Society. Efforts to find and secure funding and pledges annually meant a year long campaign for existence. One such event, The Jewel Ball aimed to garner funding. “Overture” begins on the day of the initial Jewel Ball. Two local playwrights, Krista Eyler and Barbara Nichols collaborated to create this musical that teased audiences with an edited version of its first act in the 2018 Fringe. 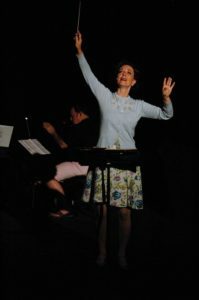 A full-blown, two-act production with full orchestration and expanded musicians now entertains audiences at The Arts Asylum. The play shows the struggles then for the Arts to find secure footing in the KC Metro. What was true then remains true today. The Arts needs constant and consistent support to expand. 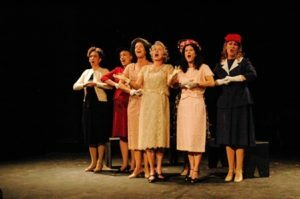 For this production, more musical numbers have been included and scenes inserted that made the Fringe entry conform to a one-hour format. The result gives a fuller and more mapped trajectory for the love story to develop. The story contains some interesting characters involved in the struggle to gain funding. The love story between Chris and Lilly, the main characters is sweet, charming, and engaging. The second love story is unexpected until toward the end and could probably benefit from an additional scene to set it up a bit. The music is tuneful, well-planned, and has good lyrics. The dialogue is light, conversational, and naturally flowing. The characters are strong and the voices all good. True to any story, there comes a conflict and situation that seems like a breaking-point as does “Overture,” but the problem is not unsurmountable and without a dastardly villain to spoil the plot. That characteristic gives “Overture” a heart and soul. For those who enjoy supporting local talent and enjoy musical theatre, this is the show to see. “Overture” continues to establish Kansas City as a hot bed of talent. 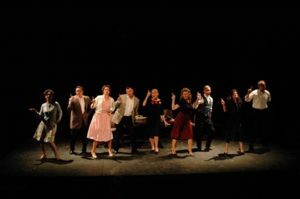 Playwright, director, orchestration, orchestra members, costumes, lights, choroegraphy, and so on, all dreive from locals. As a reviewer, I especially enjoyed the projected photos and the period costumes. The lack of elaborate backgrounds and scenery makes the audience look for a different focus. To me, it was the costumes. Fantastic work to find those vintage pieces. 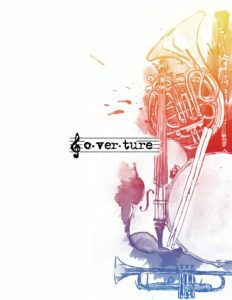 “Overture” was written by Krista Eyler & Barbara Nichols; composer and book by Krista Eyler, oriters, Krista Eyler and Barbara Nichols; Orchestrations Krista Eyler and Michalis Koutsoupides; director, Barbara Nichols; musical director, Kevin Bogan, stage manager, MacKenzie Sammons; choreographer, Valerie Martin; props, Betsy Sexton; sound, Sean Lestico; lighting, Phil Leonard; costumes, Joanna Windler; crew, Joey Majchrzak; photographer, Cheyenne Queen; documention, Jashin Lin. The “Overture” cast is: Lily, Krista Eyler; Christopher, Joel Morrison; Inda Beasley, Kay Noonan; Richard Wangerin, Kipp Simmons; Mrs. Marie McCune, Erica Baruth; Mrs. Clara Hockaday, Stasha Case; Hans Schweiger, Chris Halford; Ensemble–Whitney Armstrong, Jennifer Cannady, JC Dresslaer, John Edmonds, Langston Hemenway, Mark Murphy. 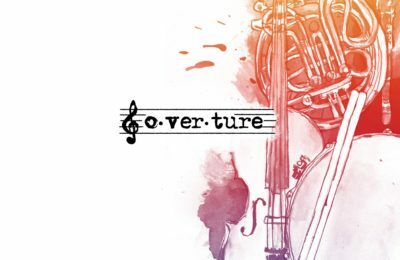 The “Overture” orchestra is : Sean Tatschl (Piano); Todd Gregory-Gibbs, (keyboard) Frank Annechinni (Bass); Blake Vignery (Drums) ; Cassoundra Sutherland (violin); Andy Johnson (French horn); Debbie Allen (reeds); Andrew Beckstrom (trumpet). “Overture” continues through Sept.30 at The Arts Asylum.